More and more business enterprises are attracted towards cloud due to its ability to reduce operational costs drastically. There are several other benefits of cloud computing such as high efficiency, flexibility, disaster management and better collaboration. However, cloud implementation comes with its own challenges related to security, performance and integration with traditional platforms. 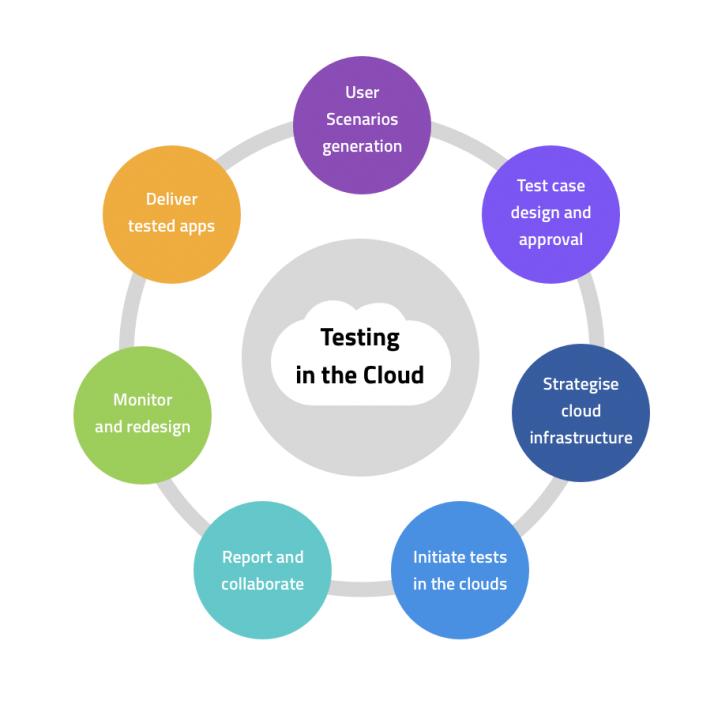 Cloud testing is conducted for the quality assurance of the cloud-based applications. The cloud testing can help an organization in boosting its competitiveness without negatively impacting the production applications. Test Triangle offers cloud computing services with assured high level of coverage and replication of user environment. We offer several cloud specific testing services such as compatibility testing, multi-tenancy testing, and disaster recovery testing. Our services offer quality insight and competitive pricing. Paas: In the PaaS service, Test triangle offers a cloud development environment and infrastructure services for the entire web application development lifecycle. With PaaS, the expense of obtaining licenses and underlying infrastructure is eliminated. IaaS: In IaaS (Internet as a Service), virtualized resources are offered over the internet. In this service, Test Triangle provides external hardware, which can be managed by our customers.